Frame: extensible or fixed in Aluminium Grey, matt Black, gloss White, gloss Dove Grey and gloss Mink painted metal. Legs: in Aluminium Grey, matt Black, gloss White, gloss Dove Grey and gloss Mink painted metal. 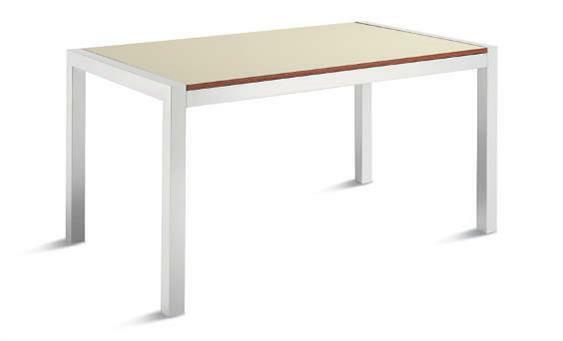 Top: extensible in wooden particle board with low formaldehyde content (class E1), covered with laminate with blockboard edging on all sides, available in various colors; or fixed in various materials.